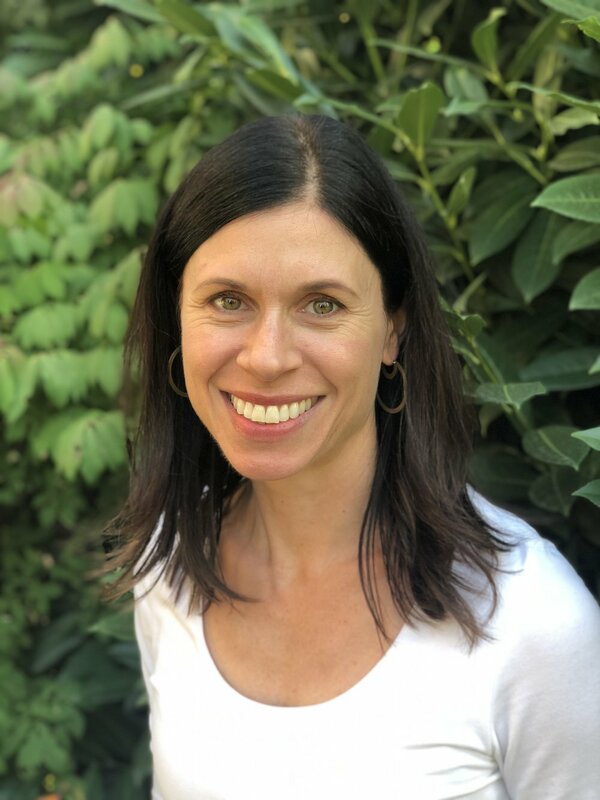 Dr. Heather Krebsbach is a naturopathic physician seeing patients at Inner Gate Acupuncture’s Halsey street location. She has been practicing naturopathic medicine in Portland Since 2006. She specializes in bio identical hormones and endocrine health. In this post she offers her insights on understanding and optimizing thyroid health. The thyroid is a little butterfly-shaped gland at the base of the neck responsible for metabolism and other essential bodily functions. The body relies on the thyroid to be balanced and secrete appropriate amounts of its hormones. When the thyroid is not in balance, there can either be too much or too little thyroid hormone being secreted, therefore causing hyper or hypothyroidism. Symptoms of too much thyroid, or hyperthyroidism, is less common then the latter and diagnosis is typically much easier to determine due to the severity of the symptoms. Compared to hypothyroidism, which can create low-grade symptoms or mimic other illnesses. Treatment considerations for hyperthyroidism are very different from treatments for hypothyroid, it is important to be properly diagnosed for the right treatment focus. When we think about optimizing the thyroid function, we are usually talking about improving a sluggish or hypo-thyroid. Certain nutrients, such as Selenium, Zinc, Iodine, Vitamins C, A, E and D are needed to help the thyroid function properly and to convert thyroid hormones to active forms that the body can use. Consuming a diet with a bounty of veggies, nuts and seeds along with protein and a small amount of whole grains can be helpful to keep the thyroid functioning optimally. Dr Krebsbach assesses thyroid function through blood tests as well as symptoms to determine the appropriate thyroid treatment. If lab results are out of normal ranges, medication in addition to diet and supplements may be needed to help support the thyroid and all the body’s essential functions. For the entire month of April, treat yourself or a loved one to a 1 hour massage with Karen for just $55! Massage therapy is a hands-on therapy that promotes health and well-being through the use of pressure and movement on the body and muscles. Born and raised in the Midwest, Karen graduated from the University of Iowa in 2005 with a B.A. in journalism and German. In 2011 she moved to Ashland, Oregon where she attended the Ashland Institute of Massage, graduating in 2013. Karen specializes in neck and shoulder, low back, and gluteal work. She has experience with myofascial release, PNF (proprioceptive neuromuscular facilitation), and deep tissue. She works slowly with intention and incorporates light stretching and emotional ease into her sessions. She has experience assisting clients in healing from auto and work accidents, strains from repetitive use, and postural imbalances. Karen will be providing medical massage. Medical massage is somewhat different than spa massage. Medical massage focuses on resolving specific muscular and structural problems, while spa massage focuses only on relaxation. Range of motion limitations, muscle spasms, neck, shoulder and back pain are all problems addressed with medical massage. At Inner Gate Acupuncture we work with you so that you can experience improved health and wellness. We are excited to add Karen to our growing team. Casey McGuire Promoted to Clinic Director at Inner Gate Halsey! Inner Gate is excited to announce the promotion of Casey McGuire to Clinic Director of our new location at 6230 NE Halsey. Along with his promotion, he will be moving full-time to the Halsey clinic in Portland and seeing patients Monday through Friday starting November 1st. Casey has been a vital member of the Inner Gate team for over 10 years and has been dedicated to his patients while supporting the growth of the Ankeny clinic. He is committed to helping people live pain free lives using acupuncture, tuina massage, and herbal medicine to achieve results. His practice includes everyone from athletes to office workers. You can schedule with Casey or any of our wonderful practitioners by calling the Halsey clinic today at 971-279-2294. Several acupuncturists from Inner Gate Acupuncture have been awarded the Portland Monthly Top Docs award. This is our 3rd year in a row being honored with the award!!! Congratulations to Oliver Leonetti, Erik Isaacman and Casey McGuire. Keep up the great service! Abdominal pain, bloating gas and heartburn are conditions that affect many of us. In fact, according to a Merck corporation survey, 7% of us suffer from abdominal pain on a daily basis! Abdominal pain is caused by many complicated issues that require careful diagnosis and treatment for lasting relief. Many of us aren't satisfied with the therapeutic options provided by western medicine. More and more unwanted side effects are being discovered by patients taking these medications long term. For example, proton pump inhibitors like Priolsec and Prevacid have been linked to pernicious anemia, kidney disease and kidney failure. Acupuncture and Chinese herbal medicine offer non-pharmaceutical options for people with chronic digestive disorders. At Inner Gate Acupuncture the clinicians take a careful health history, including a detailed description of your symptoms and their progression over time. They combine this with an analysis of current diet to determine the best herbal remedies and diet changes for specific abdominal complaints. Below are effective herbal formulas used for abdominal pain. Although the names may seem strange they simply reflect the Chinese names for the herbs in the formula. These are five of the many commonly used formulas of Chinese herbal medicine for abdominal pain. Liu jun zi tang: This formula is warming and aids with distention and pain in the abdomen. Shu gan wan: This formula is moving and aids with bloating and pain. Shen ling bai zhu wan: When there is heaviness and a sluggish digestion with loose stools this formula is helpful. Gui pi wan: This formula nourishes and helps when patients are fatigued and feel weakness. Xiao yao wan: Stress can play a major role in digestion causing abdominal pain. This formula helps when stress is causative. Bao he wan: This simple formula is designed to be taken when over eating leads to stomach pain. Everyone should have this on hand for after Thanksgiving! Remember these are medicines and although they are not prescriptions they should only be taken after being prescribed by a Chinese medicine practitioner. We supply only high quality herbs and have the training to choose the correct formula for you. The stated goal of The Movember Foundation is “To change the face of men’s health.” In order to achieve this goal the foundation hosts a variety of events and fundraisers. The most popular and well know event is the movember mustache growing. During the month of November men are encouraged to manage small fundraising campaigns while growing a mustache throughout the month. The event has grown greatly since it began in Australia in 1999. With the addition of high profile athletes and celebrities the event has generated over 175 million dollars worldwide for men's health issues. Even Snoop Dogg released a limited edition Movember t-shirt and donated 20% of the proceeds to the Movember foundation. Prostate health and cancer prevention have been a main focus of the Movember Foundation since it began. Because many aging men face issues regarding prostate health it is important to encourage these men to seek help when they first begin to experience symptoms. These symptoms include burning or painful urination, difficulty starting or stopping urination, frequent urination, blood in the urine, or loss of bladder control. Other major issues that the foundation is focused on include mental health, testicular cancer, suicide and major depression. If you happen to notice a bit more facial hair around the clinic this November please know that we are trying to change the face of men's health. Inner Gate Acupuncture has received another award is 2016!!! Expertise is a website out os Seattle that is devoted to connecting customers with the best services in any given industry. They chose Inner Gate Acupuncture for the Best of Portland based on all the great reviews you guys have given us through the years!